As one of the healthiest mushrooms, Shiitakes are an excellent source of vitamins, minerals, and important phytonutrients. These mushrooms have a firm texture and a rich, hearty, earthy flavor. Shiitakes are delicious stir-fried, added to miso soup or any Asian pasta dish. They also make a great addition to pizzas, salads, and risotto! 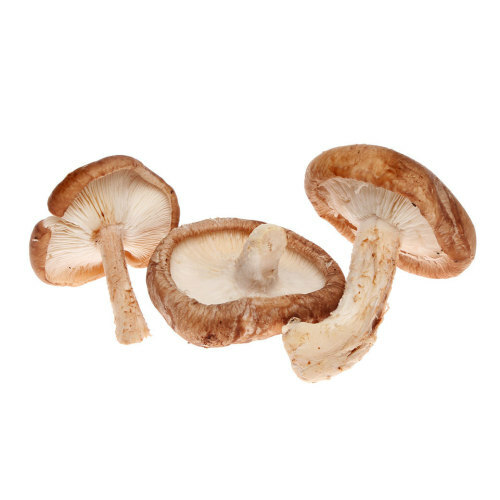 Store mushrooms in your refrigerator crisper where they can benefit from cool air circulation. Keep partially covered to prevent them from drying out, but never store packaged fresh mushrooms without venting. Paper bags are a good storage alternative. Use fresh mushrooms within three days or so. About the Farm: Eric Murphy, founder of Shamrock Farm, describes himself as a serial entrepreneur. He dedicates his free time to vegetable farming, which he began five years ago despite his job as a full-time firefighter. Throughout the impressive development of his shiitake endeavor, Eric maintains a humble spirit. Fortunately, he has found himself in a community as healthy and beautiful as his shiitake mushrooms.